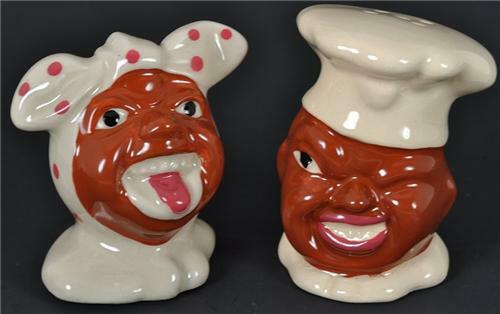 You are bidding on a Vintage Style Set of Black Americana Salt and Pepper Shakers Repro'd from the 1950's. Mammy & Chef figures are lightly crazed. Both have inserted cork bottoms. These have that Old Antique or Retro Decor Look of Black Americana History!